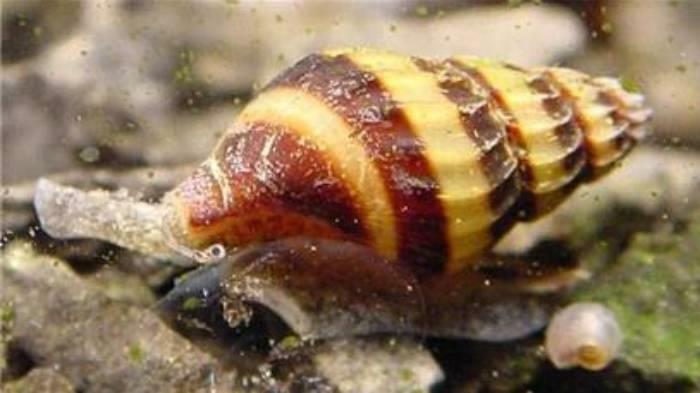 We were introduced to the Assassin Snail by an aquarium store fish salesman when we needed a solution to our invasive common snail problem. It happens to aquarium owners all the time; you bring home a new freshwater plant, only to discover a major snail infestation the next morning. Well, that's exactly what happened to us. It's a real problem since those common snails are often so minuscule, that they can't even be seen with the naked eye. So, that's how we came about purchasing a set of assassin snails. We were told that they were extremely efficient in killing off any other type of snails that lived in the aquarium, and that was absolutely accurate. Slowly but surely, the snails moved through the tank, thoroughly cleaning it out and eating the invasive species. In the weeks that followed their introduction, snail shells filled the tank floor, and finally, we were rid of the annoying invasion. I have to say, these species of snails are wonderfully efficient in eliminating snail problems. But, don't ever make the mistake of introducing it into a take with other snails if you don't have a snail invasion. Those other snails won't stand a chance. Also, another great aspect of these assassins is the fact that they do not eat plants. So, it's completely safe to introduce them into a planted aquarium. They have an interesting conelike shape usually marked by a darker colored line or two. You don't really get the pleasure of seeing them in action that much, and that is often due to the fact that they enjoy burrowing during the day, and come out to eat at night. I think these are a great addition to any tank looking for an easy, cost-effective solution to snail infestations, like the common snail. And, you never know, you may even be lucky enough to have an actual Assassin Snail "litter" of your own, since they seldom have problems reproducing, regardless of the water conditions (or so the aquarium store guy told us! ).